Albena Komitova is an attorney at law at the Sofia Bar Association, a specialist in commercial and civil law. Mediator and mediation trainer. Co founder and former Chairman of the Professional Association of Mediators in Bulgaria. She is a certified mediator since 2006 and she has experience as a mediator in many of civil and commercial cases, including multi-party, company – community cases. 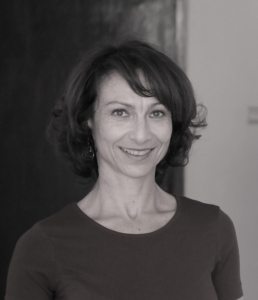 Albena Komitova is one of the leading trainers in mediation in Bulgaria. In recent years, actively conducts specialized trainings for dispute resolution – certification of mediators, judges, lawyers and politicians. Albena Komitova has participated in many projects as an expert and project manager, related to the promotion of mediation, funded by various European and American funds. She mаnages and consults a large scale project to develop functioning court mediation referral programs in several Bulgarian towns and to join the efforts of courts, lawyers and mediators to ensure the best possible dispute resolution service. Albena Komitova is a consultant on mediation in working groups at the Ministry of Justice and the Supreme Judicial Council.